Himachal Pradesh has, more often than not, been in limelight for its scenic beauty and as a hub of pharmaceutical companies. But despite being a place enriched with youth population and natural resources, the unemployment has always pinched the people of the state. In such circumstances, it becomes more than natural for capable millennial to migrate in search of better opportunities. This state also became one of those many states that witness migration of millions of citizens to metropolitan cities. But in last several years, tides have changed. A new wave of hope has emerged out of nowhere. The reason for this new-found optimism is 31 Parallel. It is a bootstrap startup that commenced its operations on April 7, 2014 with 4 associates in an attic in a Shimla suburb. It started functioning with a US client doing internet marketing. Since then, it has grown immensely in the BPM/outsourcing space. The company has this peculiar name after the 31°N latitude that passes through its office in Shimla, H.P. The firm endeavors to provide high quality outputs at low cost leveraging an absolute blend of the unbeatable combination of skilled resources and cosmopolitan corporate know-how. Armed with excellent communication skills and competitive pricing, it has positioned itself as a disruptor (from a Tier III town) in this sector. It provides 360 degree solutions that cover Sales, Customer Care & Post Sales service, Finance & Accounting, Mortgage & Data Management and Sanitization, etc. It combines entrepreneurship and social empowerment to bridge the increasing rural-urban divide by putting Shimla on the national BPO landscape. Despite many advantages namely excellent educational infrastructure, very high literacy rate, and a huge talent pool, Himachal Pradesh lacks industries and opportunities. With the help of its business partners, it is slowly trying to fill that void. The company is also reducing costs for the growing set of Indian domestic companies exploring the outsourcing market by solving several problems that plague the BPO industry such as high attrition rates, extremely high real estate prices and other overhead costs. The company despite being a rural/Tier III BPO is located in the state capital Shimla which offers it the advantages and infrastructure of a modern city along with the benefits of low attrition rates and other overhead costs. The company has a pool of workforce with excellent communication skills (English – written and oral) due to presence of large number of established English public schools and Himachal Pradesh boasts of one of the best literacy programs in India. Due to this, it is able to offer high-end services involving voice, chat and emails unlike its competitors in other locations. It comes with a pool of experienced supervisors and support staff for better process efficiency and control leading to high quality of outputs. A huge Diaspora from Himachal Pradesh, Punjab, Haryana and Uttarakhand working in outstanding organizations in the metros yearn for the hills and the company has made most out of this fact. The managerial staff consists of individuals with at least 8-9 years of experience working with multinational organizations like Dell, AMEX, IBM Concentrix, HCL, Convergys and WNS etc in metropolitan cities such as Delhi, Gurugram, Bangalore, Chandigarh and Mumbai. Apart from this, the company conducts extensive internal soft skill and Personality Development training programs to ensure enhanced contribution towards process improvement from the team. It has an 8-member strong general learning, development and product training team focusing on corporate etiquettes, email & phone etiquettes, gender sensitization, process notes & mapping and basic computer training. The workforce has exposure to the infrastructure of a state capital despite being in a Tier II/III town and is more receptive to such programs. Due to a well-educated and committed workforce, the quality of the outputs has been stellar. This is clearly evident from the expansion of the current clients with 31 Parallel despite having other vendors in the metros. 31 Parallel also leads in quality for queues running in multiple centers for its clients. Due to its location, it has Optical Fiber connectivity and MUX in its centers ensuring unhindered bandwidth. It has Next Generation firewalls and a Switch-level Network to meet current clients’ IT requirements. There was no real corporate presence in Shimla prior to the establishment of 31 Parallel. Some of the larger Indian companies have offices, however, not significant enough to change the town’s corporate culture. A large chunk of leadership of the company has had vast corporate exposure of over 7-8 years each in the metros. Initially, the absence of such a culture was obvious from the discipline, dress code, business hours and corporate etiquette, followed by the personnel but with relentless concentrated trainings, sessions and now tenure and exposure, we have been able to initiate the foundations of a strong corporate culture. The Company has been able to increase employment opportunity in 4 years with 40% of that workforce being women. It has maintained retention, grooming and growth of local resources to supervisor levels. It has serviced some of the largest names in Travel Industry and creating a niche in the domain. 31 Parallel was nominated as one of the ’10 Best BPO Startups – 2016′ in India by a popular business magazine. This list of 10 winners was created by the magazine’s editorial board along with a panel of industry’s topmost CEOs, Directors, VCs and Industry Analysts. It has been able to put Himachal on the national outsourcing landscape. 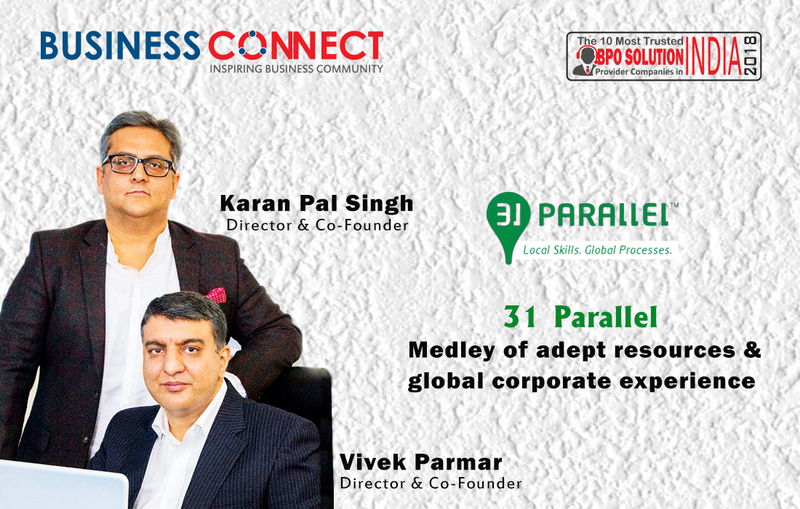 In Nov’17, 31 Parallel was listed by one of the business magazines as an organization that ‘instills a new wave of transformation in the panorama of BPO services in India’. In Apr’18, a business and technology magazine covered 31 Parallel. It has been covered in certain national dailies as well. In Feb’18, it was awarded the STPI Award 2018 for ‘Best Performer in Incubation’ at TiECon-2018 in Mohali. The event was organized by the Software Technology Parks of India (STPI), a society set up by the Ministry of Electronics and Information Technology (MeitY), Government of India along with The Indus Entrepreneurs (TiE). Karan is the co-founder of 31 Parallel. He is a graduate of St. Stephen’s College, Delhi and Cardiff Law School, United Kingdom. He is a corporate lawyer having spent years with the premier law firms of Remfry & Sagar and Amarchand & Mangaldas. He heads the company’s Recruitment and Finance divisions. He is front and center with all client interactions and leads the company’s marketing, sales and business development initiatives. Vivek is the co-founder of 31 Parallel. He heads our Outsourcing Operations, Training and Quality division. He provides thought leadership and drives knowledge management. Vivek is a Six Sigma Black Belt and was with one of the largest Indian BPOs, EXL Service from 2001 till 2012. In this duration, he has operated in myriad roles like Operations, Process Excellence, Transformation, Migrations, and Special Projects. He spent 7 years in a client facing role in the USA and the UK for EXL’s transformation business. 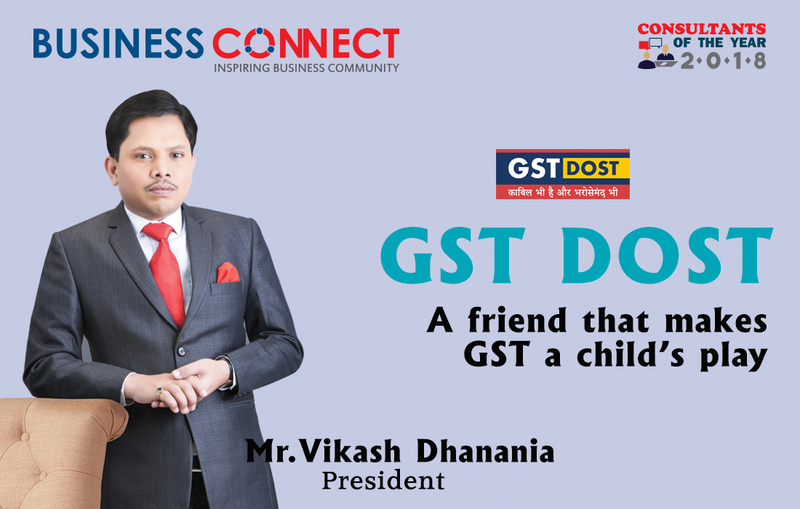 In 2013, he served as a Principal Consultant with People Trust and was involved in trainings and recruitments for the Indian BPO industry. He has completed Masters in Business Management from ICFAI.